As well as feeling more excited as the birth approaches, you might also have more swelling, aches and pains, heartburn and reflux. You might be feeling more tired and urinating more often. Rest whenever you can, and accept help whenever people offer it. cramping in your lower pelvis, a bit like period pain. You’ll know you’re in labour when you feel contractions that last for a minute each, coming at regular intervals (about five minutes apart). It’s a good idea to plan practical and emotional ‘back-up’ for after your baby is born. For example, could extended family, friends or other people cook you a meal, drop in for a visit or give you a call? You don’t have to do everything if others are willing to lend a hand. It’s OK to ask for help too. In fact, some people will appreciate you telling them exactly what you need. 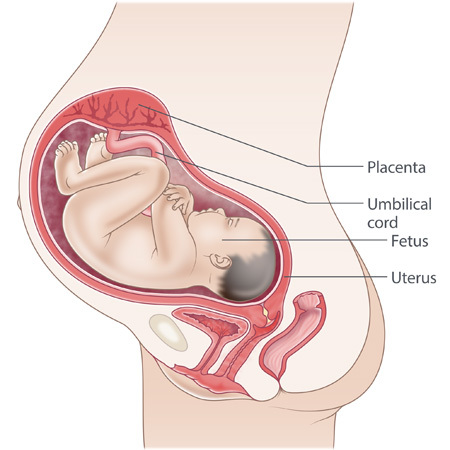 Your baby is about 29 cm from head to bottom, and weighs about 1.9 kg. Your baby is practising sucking and swallowing. These reflexes won’t be fully coordinated until about the end of 34 weeks pregnant. Your baby’s liver is storing iron. These iron stores will help your baby until 4-6 months after birth. Your baby’s lungs are maturing, producing lots of surfactant to help your baby breathe after birth. Your baby’s movements will change as your baby gets bigger. If you’re worried about an increase or decrease in your baby’s movements at any stage, speak with your doctor or midwife. Babies born now have a very good chance of survival, but are still premature. They’ll need to be looked after in an intensive care or special care nursery.